Live Chat, Email: Submit form found under Support tab and support will reply asap. Telephone: CA 18667452416 , UK 0-808-2386055. For a complete list and your region please go directly to 'Support' page. Heading back to where it all begins, Vegas Palms Casino is rooted in all things Las Vegas. With a backdrop of palm trees, flowers, and slot coins, this 15+ year casino keeps things simple and classic. From trusted and respectable gaming group Fortune Lounge, you know you can’t go wrong with this online casino. There are hundreds of games on offer, a generous welcome bonus, and players that stick around are rewarded for their loyalty. It’s easy to get in touch with them and their customer service is top notch. As a site that has been around since 2000, it knows what its doing; it’s accessible, there are numerous, fast payment options, and you know you’re in safe hands with Fortune Lounge. There are over 600 games to pick from at Vegas Palms Casino so you’re bound to find something that keeps you coming back again and again. Players who favour the table games can find all of their regulars like Blackjack, Baccarat, Craps, and Roulette. You can also opt for the Live Dealer if you’re looking for that adrenaline rush and big win. 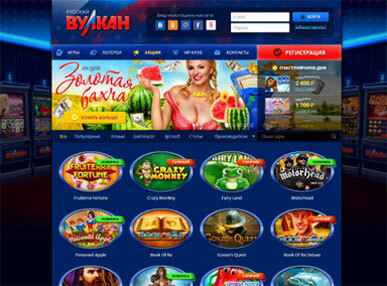 The progressive jackpots are hugely popular and are home to some of the biggest wins. Games like Major Millions and Mega Moolah are on top right now and dispense millions in prize money every couple of months. Beginners may want to check out the slots for their random draws and easy to play technique. You’ll find everything you need to know on the instructions or alternatively use the live chat option for someone to assist you anytime 24/7. Options for gaming include desktop online or for download so you can play at your convenience. Prefer to play on a hand held device? No problem, there are hundreds of mobile accessible games at Vegas Palms Casino so you can play on the go. The welcome bonus at Vegas Palms Casino is probably one of the biggest draws of the site. There are in fact two welcome bonuses, depending on how you make your payment. The first option entitles you to a match bonus of 400% on up to €200 if you deposit a minimum of €50 using either Click2Play or Neteller. The second entitles you to a 200% deposit bonus when paying with a credit or debit card. Either way, it’s pretty generous in the world of online casinos. Furthermore, Vegas Palms Casino is all about the customer loyalty, and they will reward you for such. Once you rack up loyalty points, you can choose to join the Players Club which opens up a world of special promotions and bonuses which can be converted to free chips and credit. There are plenty of currencies taken at Vegas Palms Casino, including the major ones like US dollars, Pound Sterling, and Euros. There are just a handful of withdrawal and deposit options, but they are all secure and safe, from sites like Neteller, Click2Pay, Instadebit, as well as credit and debit card options. As mentioned above, Neteller and Click2Pay will serve you well for a welcome bonus deposit. Payments are made quickly and efficiently, as well as securely via SSL digital encryption. There’s a reason this online casino has been around since 2000. With its slick, classic look, easy to navigate site, and excellent collection of safe and secure games to play, this is one that will be around for a while. The welcome bonus is certainly something to attract newcomers, and the loyalty programme helps people stay. Feel classy and bring it back to where casinos got their name. © 2019 SlotsDoc Inc. | All Rights Reserved. NEW CUSTOMERS ONLY.